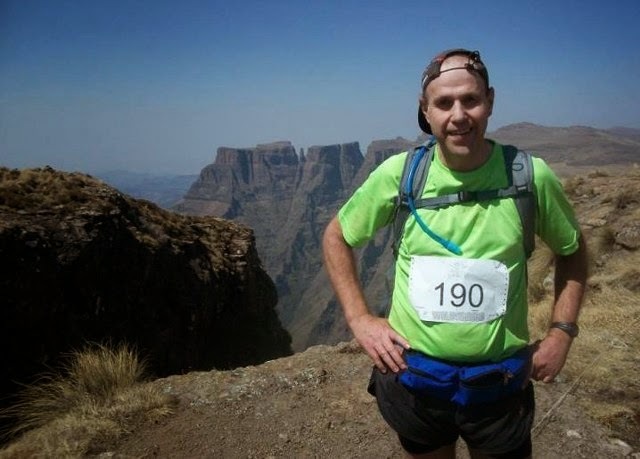 Johann from Run Tall, Walk Tall is a fellow South African running blogger with a seriously impressive race record: Johann (51), who started running races at the age of 18, has completed 1 378 official races to date, including 389 half-marathons, 126 full marathons and 117 ultras... That's some pretty impressive racing, y'all! I had the privilege of chatting to Johann about all things running and am so excited to share his story with you. RtR: Why do you run/love running? Johann: Running is really in my blood. I’m lucky that I grew up with a dad who loves running as well - it certainly rubbed off. My dad ran since I can remember. 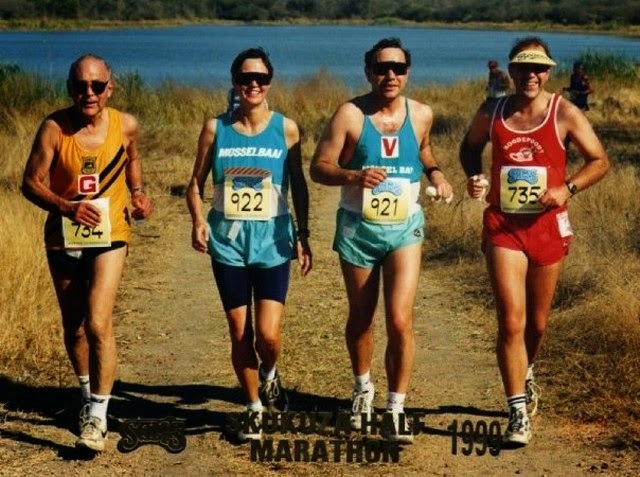 He ran for about 15 years, 6 days per week, before he ran his first race - he just loved it. I’m the same: I’ll run the same as now even if I don’t train for or run a race ever again; I just love it. I can’t think of my life without it. I’ve been running for more than 33 years now - it is the lifestyle that I choose and live. 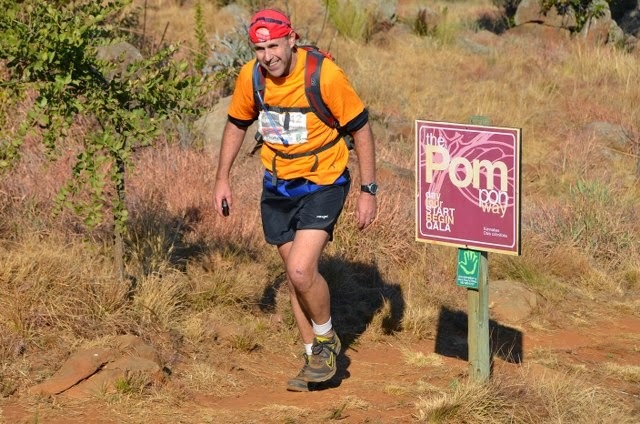 RtR: Are there any obstacles that you have had to overcome or that you are still overcoming in order to be able to run? If yes, how do you overcome these obstacles? Johann: My main obstacle, if I can call it that, is that I have zero natural ability. I have a very low lung capacity because I was born with a mild case of Pectus Excavatum (hollow chest). This means my chest bone is pressing inwards against my heart and lungs giving me very low lung capacity - it literally means that I need to train a great lot harder than others to get to a certain fitness level. It also means that I will never run super fast times even if I am super fit. I overcame this by changing my goals from time to distance: I decided very early on that instead of trying to run as fast as possible, I would rather run as far as possible or as much as possible. Speed or race times don’t matter to me at all. I do log my time after each run still, but that is only to give me an idea of my training and condition. Johann: I always run early in the morning. That’s how I grew up and that’s what I do. My dad used to flip my mattress over at 4:00 a.m. to get me out of bed for running when I still lived at home. My dad was up at 3:30 a.m. during the week for his runs. I do all my week runs between 4:00 and 6:00 a.m. Weekends will be a bit later sometimes, but still as early as possible. I am 100% a morning person. RtR: Give a short summary of your current running routine. 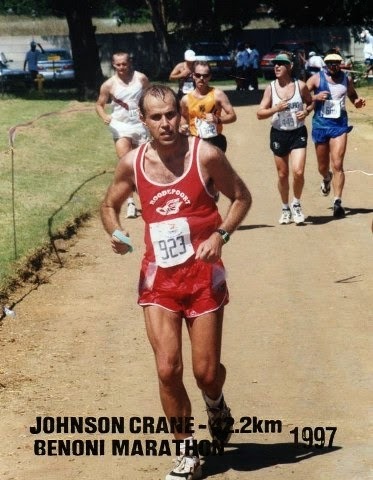 Johann: I run 6 days per week, Monday to Saturday or Tuesday to Sunday, with either Sunday or Monday a rest day. I follow a hard day, easy day routine, which means longer run, shorter run, longer run, shorter run, and so on. Typically I want to run 70 to 90 km per week. I like to always be in shape and able to do at least this without feeling tired or over-trained. I actually like to always be ready to run a marathon or 50 km if I suddenly feel the urge. I see that as my base and then build up from there for my longer races and goals. I’m not quite there yet at the moment, but will be by December. Then I push up the distance to 90 to 120 km per week as the race calendar requires. I usually do 3 or 4 long weeks and then cut back to a 70 km week again. I also do a bit of upper body and core work four times per week. This really helps for the long runs and also for the trails. Johann: I always have a few main races per year and use many others to train for these. 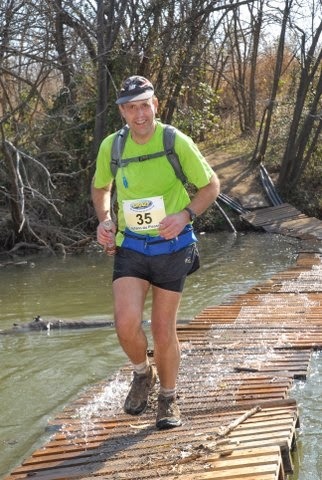 For 2015 I have the 60 km Forest Run in March, a Sky Marathon in April and the Cape Town Ultra in October as my main races so far. Then there is the possibility of a 6-day circuit race in December. If I do this, I will throw in a few more circuit races during the year as training. If not I’ll do some stage race instead. RtR: Any tips for men and women out there who want to start running, but feel that they are too slow/overweight/”unathletic”? Johann: Anyone can be a runner and finish races and get medals. Even if you do them very slowly, the satisfaction and achievement is indescribable. You don’t have to be a natural runner or fast or built like a sports model to run. Consistency is the key. Train often and keep the routine going. The results will come naturally if you put in the work regularly. Run at least five times per week. RtR: Any funny running stories/moments to share? Johann: The start of my running career is quite funny. I was at high school from 1977 – 1981. Rugby was the sport and boys played rugby, no questions asked. I was very small for my age and kept getting injured. So I was very brave and decided in 1979 to run cross country and not play rugby in order to be injury free for a change. However, in my first cross country race, about 1 km after the start, we crossed a stream and I slipped on a rock and broke my arm! There are many stories... I was chased and bitten by a donkey once. I saw big men cry and I’ve cried with big men. My best moments and laughs were all with incredible running friends. RtR: Would you care to list some of your PRs? 5 km - I’ve never run a 5km race but my best 5k time trial was 21:14. 21.1 km (half-marathon) – 01:41. 32 km (20 miles) – 02:45. 42.2 km (marathon) – 03:49. 24 hours – 173 km. Wow. 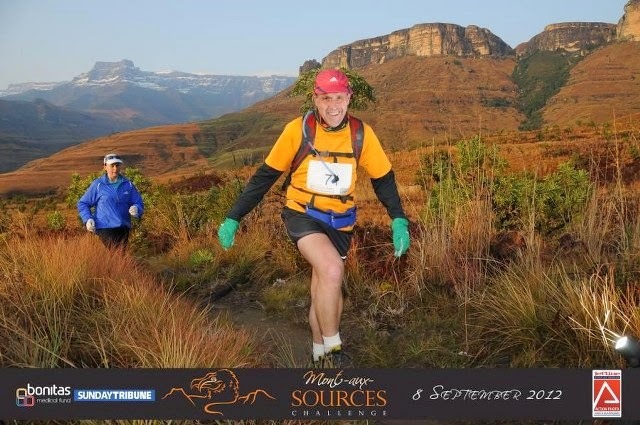 Johann, thanks so much for sharing your running story with us. Wishing you many, many happy and injury-free miles and races in the years ahead - you're an inspiration! Head over to Johann's blog, Run Tall, Walk Tall, to follow his running adventures, or follow him on Twitter here. Thanks, Hailey! I also enjoyed the mattress story - so much for a gentle wake-up call, haha! 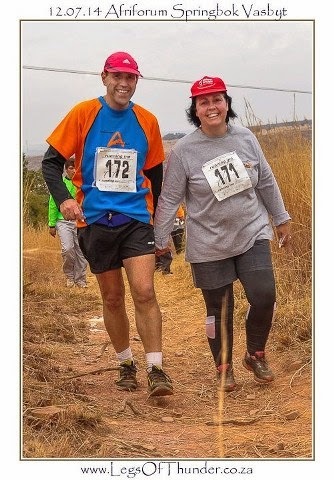 Johann really is an inspiration - one of the most dedicated runner I know :) . My pleasure, Johann! Looking forward to it :) .